Are you ready for a challenge? 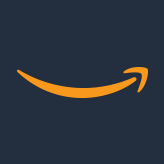 Would you like to use your engineering or computer science background to optimize and solve complex problem's in Amazon's world-class fulfillment operations workforce? We are hiring multiple software development engineers at all levels to build cool technology to ensure that the right people are in the right places at the right times to power the largest fulfillment operation in the world. A commitment to teamwork, hustle, and strong communication skills are absolute requirements. Creating reliable, scalable, and high-performance services and architectures require exceptional technical expertise. If you have that type of expertise, you enjoy working on complex system software, you are customer-centric, and you are motivated about building systems that can be operated at global scale with minimal human intervention, then we want to talk to you!